It was a unseasonally warm day. The kids and I took a walk over to a near-by playground. 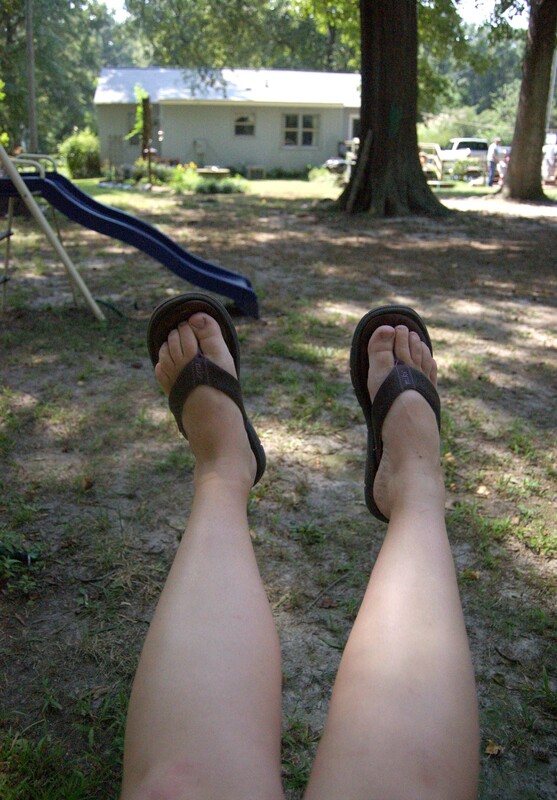 I maybe thirty years old and the mother of two children, but I still love to swing. After I got my kids going, I did some swinging myself. I love this shot. 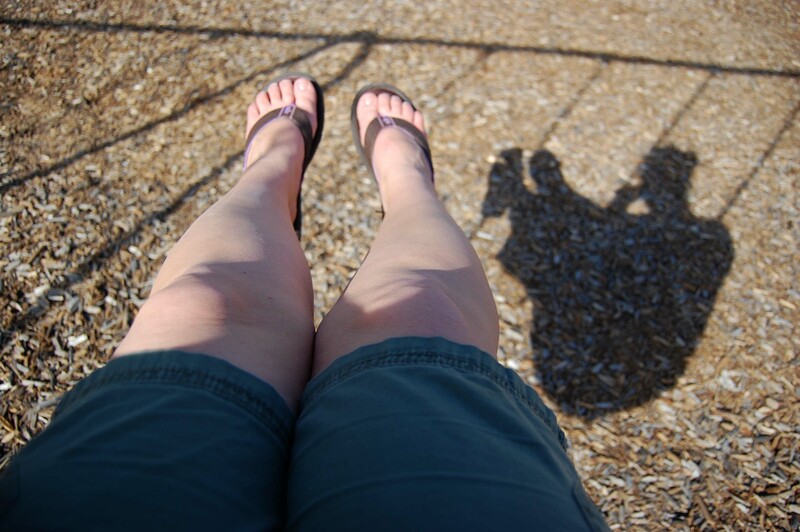 I managed to get my legs and my complete shadow, while swinging and it’s in focus.